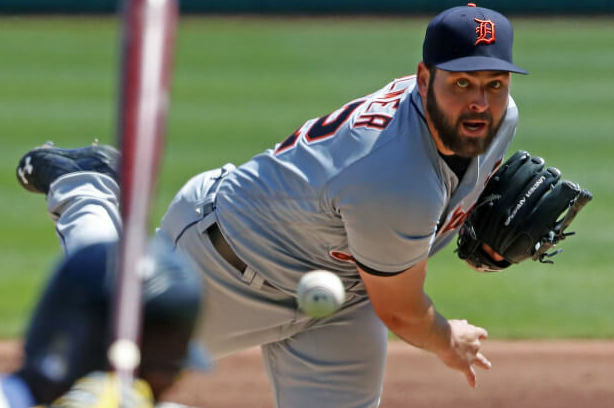 (DETROIT) – Detroit Tigers right-hander Michael Fulmer, after receiving a third opinion, has opted to have Tommy John surgery on his pitching elbow and will almost certainly miss the 2019 season. Fulmer got a second opinion Tuesday from renowned surgeon Dr. James Andrews after an MRI. He told reporters Wednesday that a third opinion confirmed the diagnosis. Fulmer, 26, won AL Rookie of the Year honors and was an All-Star in 2016 but has struggled to return to that form. He was 3-12 with a 4.69 ERA last year, his season cut short in mid-September because of knee problems. Injuries have played a big part. He underwent ulnar nerve transposition surgery on his throwing elbow in 2017. Last season, he underwent his third knee surgery. Tigers manager Ron Gardenhire told reporters that the team will meet to figure out how to fill the vacancy in the starting rotation.